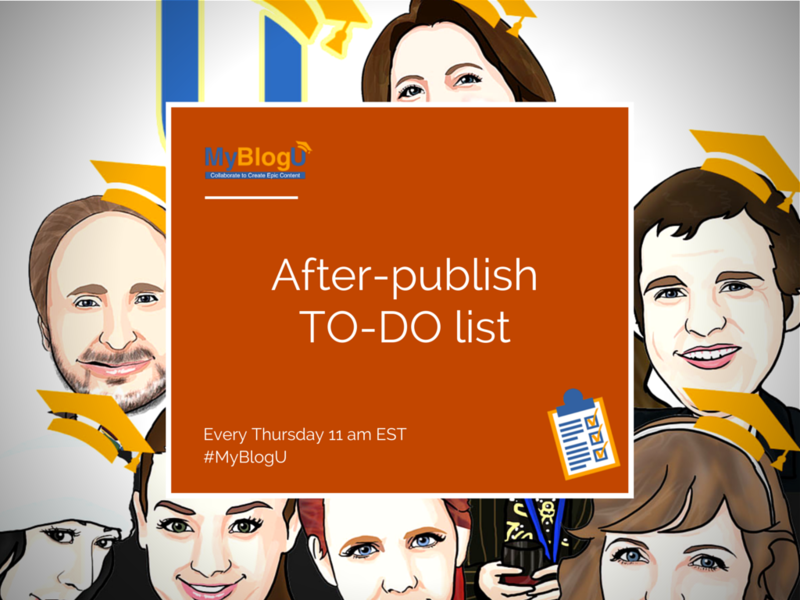 Collecting ideas from MyBlogU users and publishing an article is just one step in the process. If you want to really get more exposure to your content and make the most of that collaborated effort, here’s your to-do list. 3. Share on Facebook, Google Plus & Linkedin + TAG All the Contributors! Email all the contributors thanking them for their input and inviting them to comment and share the article on social media. It’s very important to actually invite the contributors to engage: In many cases, people just don’t think of that unless they are invited. Are there more ideas for a cool email subject notifying your contributors of a published expert interview? #myblogu Email: Jack, your story is live for all to see @ [link]. Thanks again for your help. I look forward to working with you again. 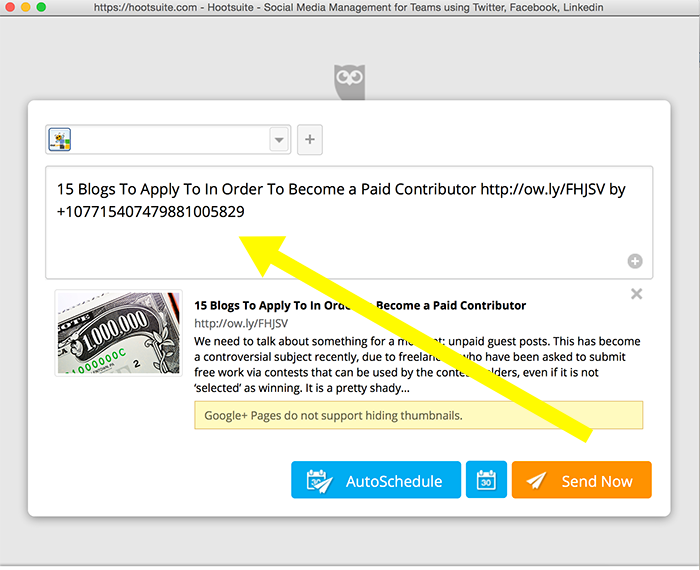 Jim"
MyBlogU tip: Use “Email all the contributors” option to reach out to all your contributors. It saves so much time! If you do that right after your email, it will be easier for your contributors to remember who you are and reciprocate. This is how group initiatives, like expert interviews or collaborated articles help you to also build up your following and influence. Keep record of all social media accounts you were able to find as you’ll need to use them in steps 3 and 4 further on. 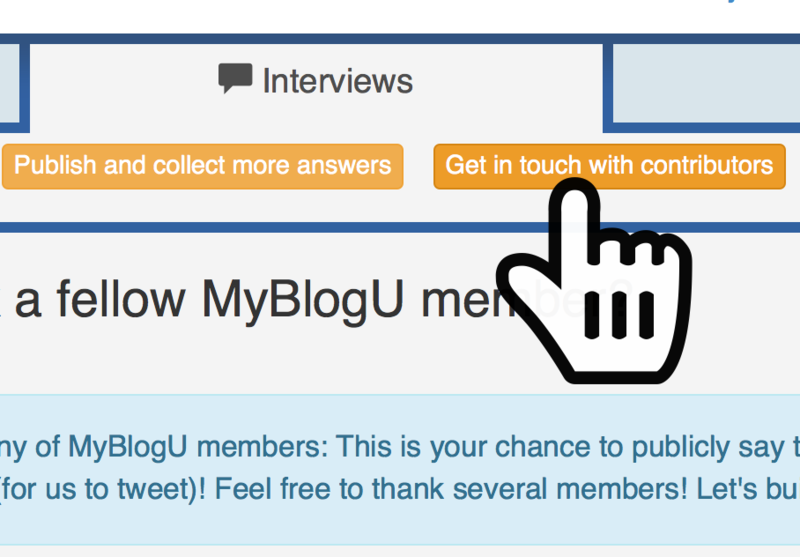 MyBlogU tip: Go to @MyBlogU user profiles of your contributors. Many of them link to all their social media accounts there. Another great way to get more out of your expert interview is to get those contributors follow you and interact with your shares. The best way to do that is to tag them in your social media update. 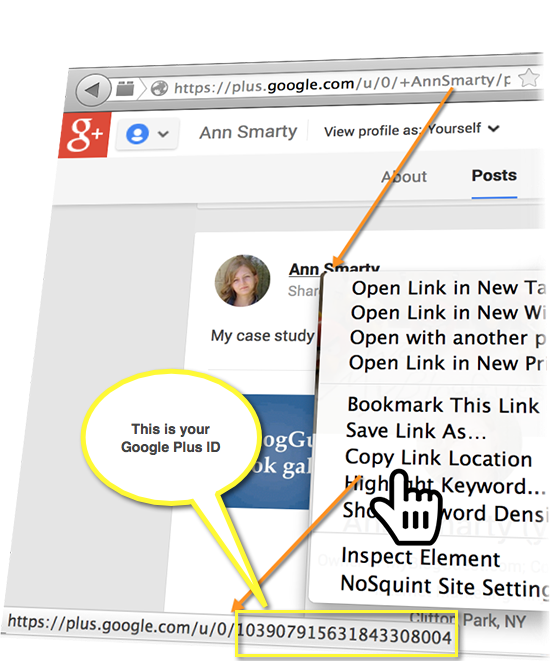 Simply tag the user’s Google Plus ID instead of the name. It will convert into the linked name after you publish the update. Even if the user has switched to the custom URL (i.e. +TheName instead of /XXXXXXXXXXX/ in the URL), you can still locate the user’s ID easily by hovering-over the name in the update. Note the best part: With that trick you can tag people when posting from apps as well! Twitter is the easiest to tag. All you need is just find your contributors on Twitter (Which you already did in Step #2) and include there @username in the Tweet. Use Hootsuite or Tweetdeck to schedule a series of Tweets tagging each of your contributors and thanking them (followed by the article URL). Make sure you use different working in each tweet not to look spammy. Schedule more tweets for a week and a month ahead tagging your contributors again. That will drive them to your article again! If you were using Tweet quotes in your content, make sure you’ve tagged your contributors in each one as well. Here’s a good example from our @hireblogger. Some of the contributors are sure to post comments. Make sure you reply and thank them again! That’s how your blog gets an active discussion you’ve been waiting for so long! Are there any more steps to take after you publish your articles you’ve collaborated on with someone? Please let us know in the comments! I take it as an additional step to interact with people who have made real, genuine comments (who were not contributors) on social media. You don’t HAVE to mention your post, but it can be an opening. At the least follow them, and favorite/rt anything interesting. If they took the time to genuinely comment, then they were really engaged and will likely be back to you for more content and even more likely to do so if they’re engaged with you on social media. Exactly! That’s not your first engagement, so you are sure to succeed re-connecting!